Artistic rendition of China's BeiDou satellite navigation system. The Chinese BeiDou Navigation Satellite System (BDS) is well positioned to provide services worldwide, according to Zhang Chunling, Chief Engineer of China's Satellite Navigation System management office—BeiDou will service countries along the Belt and Road Initiative by 2018 and expand the service's global reach by 2020. Zhang added that the BDS has provided regional services for three years, with stronger performances in Beijing and Nanjing as well as low latitudes areas. The BeiDou project was formally launched in 1994. On June 12th of this year, China successfully launched the 23rd BeiDou navigation satellite that was developed to target extensive civil access and to provide global services. According to Zhang, the new homegrown BeiDou chip modules and some other core infrastructure products have been gradually made available to meet the ever-growing demand of smart phones, tablet computers, wearable devices and so on. This technology has removed China's dependency on imported high-accuracy satellite navigation products, said Zhang. The Chinese government released a white paper in June this year that elaborated on the development of the BDS. According to the document, China has formulated a three-step strategy for developing the BDS and aims to complete the development of the 35 satellite constellation around 2020 to provide all-time, all-weather and high-accuracy positioning, navigation and timing services to users globally. 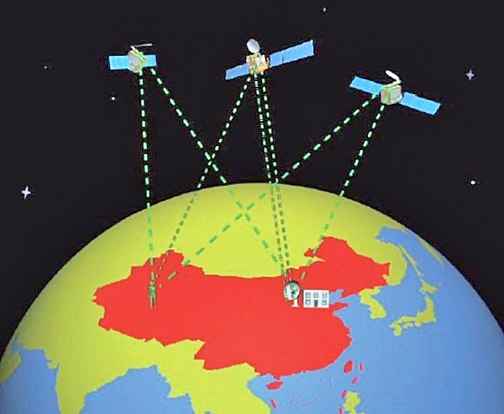 The BeiDou services cover the areas between 55 degrees north latitude and 55 degrees south latitude and between 55 and 180 degrees east longitude, with a positioning accuracy of less than 10 meters, a velocity measurement accuracy of less than 0.2 meters per second and a timing accuracy of less than 50 nanoseconds.